More and more we are going to see electrical Vehicles, Inspired Electrical can help you install your Tesla Charger. The Mobile Connector and adapters are used to plug into various types of electrical outlets and can provide a maximum of 40 amps to a vehicle. Your delivery orientation specialist will review this hardware with you when you pick up your vehicle. To charge with the standard equipment, install a 240 volt NEMA 14-50 outlet at home. Optional charging accessories for Model S and Model X can be purchased from Tesla’s online shop. 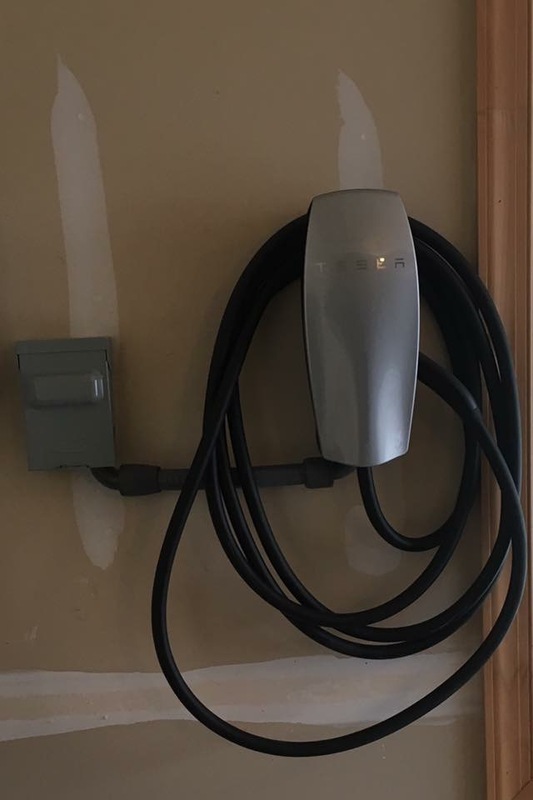 The most popular charging accessory is the Wall Connector, a charging station uniquely designed for Tesla vehicles. The Wall Connector can accommodate almost any power supply and allows for the fastest possible home charging.